As the saying goes, there are two sides to every story. The same remains true of diets. In a previous article, we discussed the benefits and reasons a person might go vegan; but we did not touch on the “other” side of veganism. Just as there are benefits of a vegan lifestyle, there are also worries. Nutrient deficiency and unhealthy vegan foods are among the concerns of those searching for their perfect diet. When I first debuted into the vegan lifestyle, I had discovered little to no information on eating a balanced diet. I knew I couldn’t eat meat or cheese and to me that was pretty much everything. I remember eating out for the first time at an Italian restaurant and as I perused the menu, I began to panic. After a major bout of anxiety and a growling belly, I opted for some dry bread sticks and a mound of steamed broccoli. I remember thinking, Is this it? Is this what I have to look forward to for the rest of my life?? Since then, I have learned to eat a whole and balanced diet; however, if you do not make an effort to self-educate, it can result in some serious deficiencies. Calcium isn’t just for your bones; it’s also strongly linked to nerve and muscle function and blood clotting. What’s more is that if your calcium intake is plentiful, you can prevent diseases such as colon cancer, premenstrual depression and kidney stones. Basically, you don’t want to mess with your calcium intake! Its benefits are astounding. Leafy greens, seeds/nuts and salmon are all great sources for this vitamin. In fact, contrary to popular belief, milk is not the most calcium rich source. 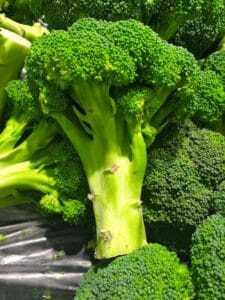 Broccoli is a better option to enhanced your calcium levels. With all these bright and whole foods being at the center, why do vegans struggle to maintain their calcium levels? It’s a common accepted myth that vegans need less calcium because they don’t eat as much meat; therefore, their bones do not require as much calcium as the high turnover rate in the bones of carnivores. This is simply not true. Regardless of your dietary preference, The Institute of Medicine’s recommended amount of daily calcium for adults 19-50 and men 51-70 is 1000 mg per day; while women over 50 are recommended to take in 1200 mg per day. Keep this number in mind, no matter what diet you identify with. B12 deficiencies are real. The nutrient is typically created by bacteria in animals which is why vegans lack accessibility to B12. Deficiencies are serious and can lead to irreversible nervous system damage and anemia. The American Journal of Clinical Nutrition conducted a study that looked at vegan and vegetarian B12 levels and found not only were 92% of vegans deficient in the Vitamin but so were a few of the vegetarian participants. What does this mean? It means that even if you are a vegetarian who eats animal by-produces such as milk and yogurt, you are at risk of developing a B12 deficiency. Carnivores you are not out of the woods either! In the same publication, of 3,000 participants under 50 years old, 40 percent had B12 levels low enough to be problematic. If you are a strict vegan, you will need to supplement for the vitamin; however even if you are not, it’s important to be mindful of your B12 intake, as research shows many individuals are at risk for deficiencies. You can choose to take a vitamin supplement or make nutritional yeast a staple in your diet (and your cooking!) as a supplemental strategy. The primary functions of iron in the body is to assist in oxygen supply, energy production and a healthy immune system. Iron is important. In food, you can find two types of iron, heme and non-heme. Meat and fish are a source of heme iron, while plant-based foods provide non-heme iron. Because vegans do not get any heme iron, as they avoid meat, it is suggested their iron levels might drop below the norm if not properly managed. If you do not have a well-balanced vegan diet, you may increase your risk of iron deficiency anemia. The good news is, leafy green and lentils are jampacked with iron! Among other plant-based foods such as shitake mushroom, tofu and kidney beans. Simply by eliminating meat from your diet, you are eliminating a big chunk of potential heme iron. Stay watchful of this! I love when I walk into a vegan bakery and know that anything I order is vegan! 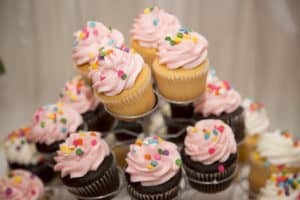 However, three pastries in I begin to feel the cupcake making its way to my waistline and I am reminded that veganism does not equal healthful. Being thinner and being a vegan only go hand-in-hand if (and that’s a big IF), you eat a balanced diet rich in whole foods. Kale will never make you fat… but kale fried in oil and dipped in chocolate just might. Even if your reason for becoming a vegan is in support of ethical treatment of animals or the environment, why not reap all the benefits? If you want to become a vegan but still want to stuff yourself silly with store bought frosting, don’t expect to last long in the vegan world. When you make a life change, you want to benefit from it tenfold. So, if you want to go vegan just for the title, I would second guess your choice and do your research! You want to choose a diet that makes you your best version. A diet that increases your vitality, energy, inner and outer beauty, enhances your mood and gives you confidence and zest. If vegan isn’t for you, so what! Find a diet rich in vegetable and oozing with vitamins and minerals, that is more your style. Find your love of vegetables with AnamBliss at one of our wellness retreats. Upcoming dates can be found here.